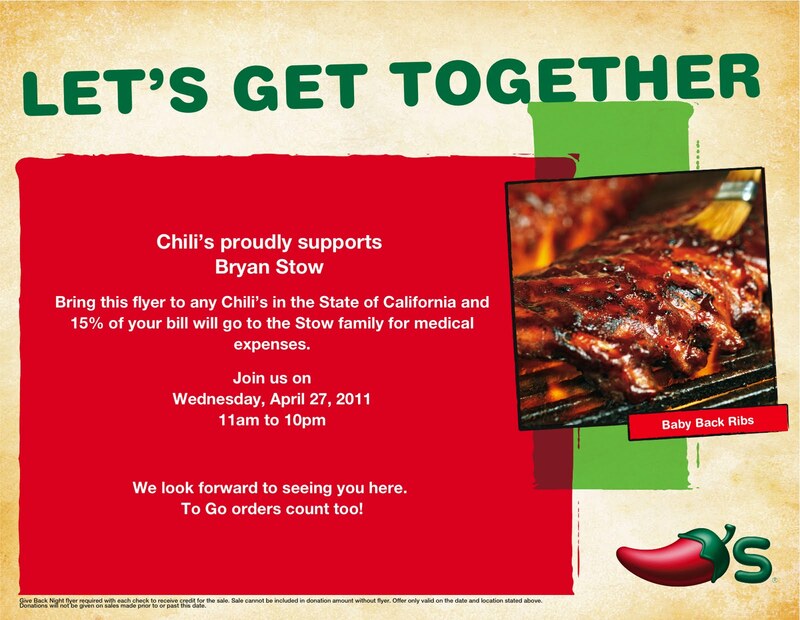 Look, I haven't been to a Chili's since my grandfather forced me to go there for our shared birthday two years ago. That said, I highly encourage anyone who lives anywhere near a Chili's to stop in today (4/27/11). They will be donating 15% of all proceeds (both in house and to-go) from their California restaurants to the medical fund of Brian Stow, the Giants fan savagely beaten at this year's Opening Game at Dodger Stadium. Find the nearest Chili's here. Smash!! After all I got the thing what I wanted for years! Ideal for treatment while being at home! I would recommend modafinil to all! Very relaxing opportunity!